This year Luton celebrated its 80th anniversary. In that time, it has grown from a small municipal airfield to the fifth busiest airport in the UK. When I joined in 2014, we moved around 320 flights a day and 8.1 million passengers over the year. Last year we helped move very nearly 500 flights a day and 15.8 million passengers – almost double in less than four years. 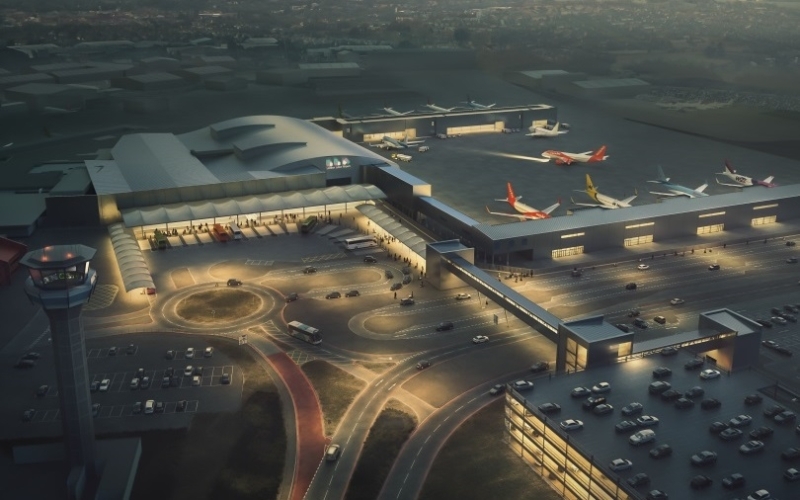 Despite this growth, Luton is a compact airport, with fewer square feet per passenger than any other airport in the UK. For passengers this has many advantages, including shorter walks in terminal and less time taxiing to the runway, but because the airport’s growth has been largely organic in nature it does bring some operational challenges. We don’t have the luxury of space like many airports and we’re launching aircraft into a very congested piece of airspace. But despite the rapid growth and limited ground infrastructure, we continue to move more traffic, more safely and with less delay than we ever have done before. There is a tremendous sense of camaraderie and pride across the airport teams for what we achieve every day. But that doesn’t happen by accident. Like all ATC operations, safety is our first priority, but the traffic growth and airfield layout means we have had to be especially proactive to ensure we have an efficient, but above all safe operation. By working very closely with the airlines, using ‘defensive controlling’ – a technique where we not only operate correctly and safely, but also ask ourselves “have we done everything possible to influence the safest possible outcome?” – and by introducing a newly refreshed competency scheme, we have helped reduce the likelihood of all kinds of safety infringements. For example, we’ve reduced intermediate holding point busts, (where a pilot manoeuvres beyond a cleared holding point) from around 50 in 2017 to just five so far this year. This kind of safety improvement is only possible when the right culture is in place. It’s not a ‘no blame’ culture, but it does mean no one is censured for making honest mistakes. Instead, we use them to reduce the chance of it happening again. I have total confidence in what we are doing and am also comfortable that any employee is empowered and able to raise safety concerns at any point. We’re not afraid to have the challenging conversations if things don’t go so well, because that in turn strengthens the team, drives performance and improves safety. When something unplanned and unwelcome happens it is rigorously investigated, with lessons learned made available with everyone at the unit, so we all benefit. It’s a real credit to the team. We always try our best to look out for each other, the customer and the travelling public. Its nice that Mr Healey sees the advantages to passengers of Luton’s “fewer square feet per passenger than any other UK airport”. As a regular passenger, I endure the overcrowding of the terminal building with precious few seats outside of the overcrowded restaurant and bar facilities. When called to board, I take the – yes admittedly short – walk along the corridors that look like a 1950s-style hospital corridor to arrive at gates without any seating and then stand on the stairs waiting to walk out on the tarmac and up uncovered steps onto the aircraft. Then, when arriving back, I suffer the long queues and waits at Border Control. I fully appreciate none of this is down to NATS and have no problem in the job they carry out, which must be a nightmare in the very crowded skies. With the already rapid expansion of Luton & Stansted and the further expansion plans of both airports, I do sincerely hope that local residents will be consulted regarding future flight routeings in and out of both sites. Living between the two airports as I do, I already experience frequent noise both from aircraft landing at Luton and those taking off from Stansted! David Healey is the NATS General manager at Luton. David is an Air Traffic Controller by trade and prior to Luton has held senior management roles at a number of airports including Cardiff, Gatwick and Bristol.